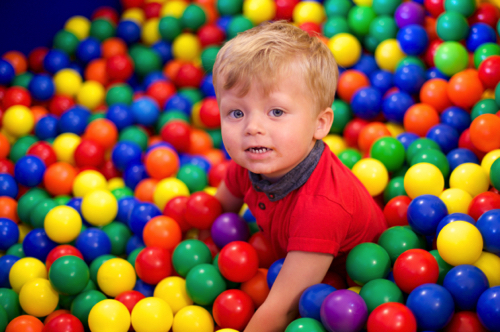 "My son loves the soft play room. It gives him the confidence to push his physical limitations safe in the knowledge that he's unlikely to hurt himself or be injured by others, unlike in a commercial setting where he is often trampled by more able-bodied children!" We are very fortunate to have a light and spacious classroom where the majority of our activities take place. Although open plan, we have sectioned off areas for a book corner, home corner, sand and water play etc. 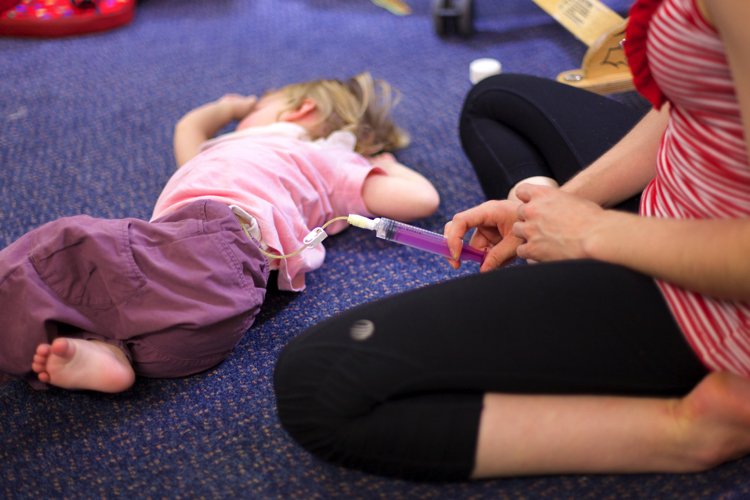 We also have a sensory room complete with bubble tubes and light boards and a separate 'small group room' into which we take some of the children for more focussed, group-based activities. One of the favourite areas for many of our children is our soft play room which also has a ball pit and ball shower which makes the children squeal with delight. We have a lovely garden that we use whenever the weather allows. 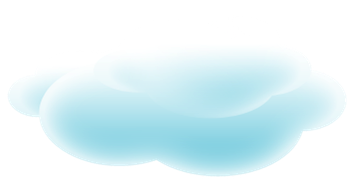 We have a Wendy house, climbing frames, slides, and will be erecting a new 'adventure play area' in the very near future. 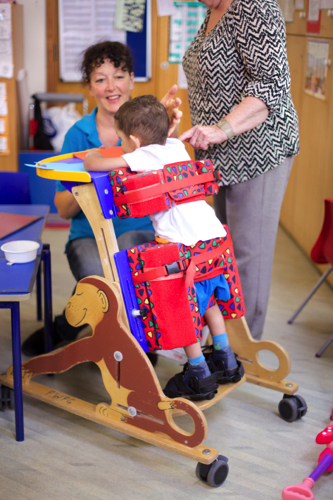 We also have ride-on vehicles and cars and even an adapted trike! 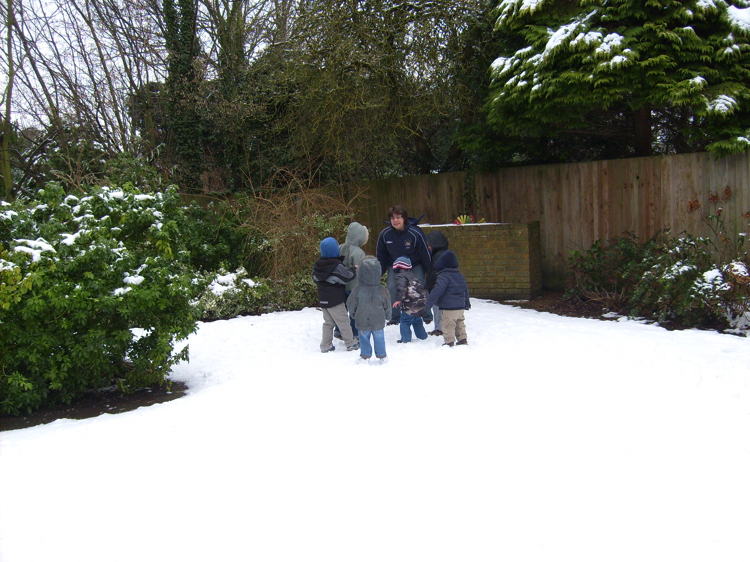 We also use the garden to enrich our curriculum and to allow the children to explore different textures, smells and sounds. The children are encouraged to grow things in the garden and have recently sown seed potatoes, we look forward to seeing the fruits of their labours! 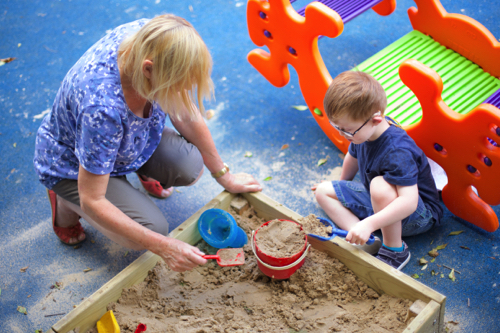 In the summer term we can often be found in the garden enjoying water play and playing our instruments for all to hear. In addition to these we have the use of various other rooms in the building including a sports hall (into which we fit two bouncy castles for our Christmas parties! 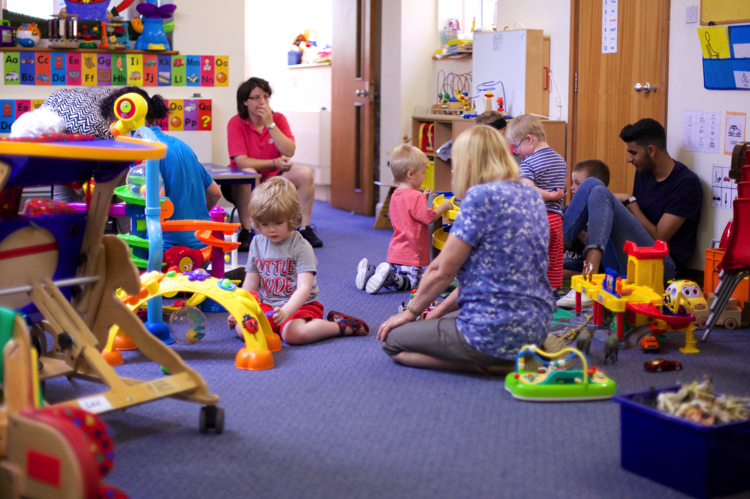 ), a large lounge room and a kitchen which we can use to do some simple baking with the children. We also have our own toilet/potty and changing facilities. 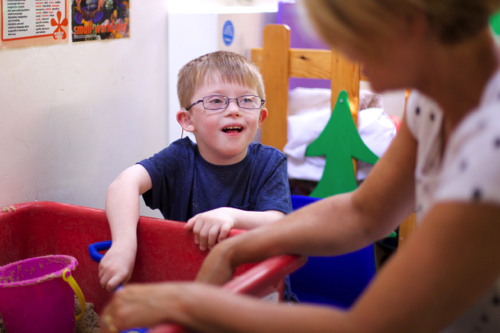 We are proud to say that we are a fully inclusive playgroup, by the use of specialist seating and equipment all of our children can access our facilities and join in the fun! "She loves singing time! 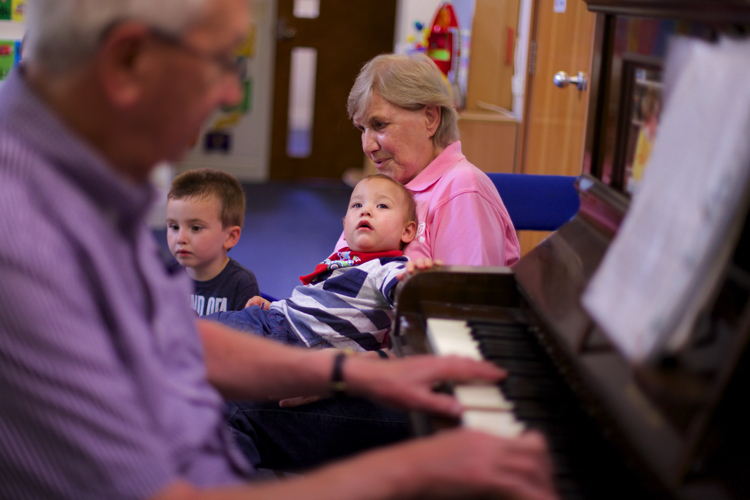 She's happiest when music is playing and the fact that the playgroup has a pianist to accompany them is wonderful!"